88Office is a service office in South Jakarta which has an exclusive lobby that designed to give an elegant image to your office. Guests can wait comfortably while reading a newspaper or magazine that we provide. 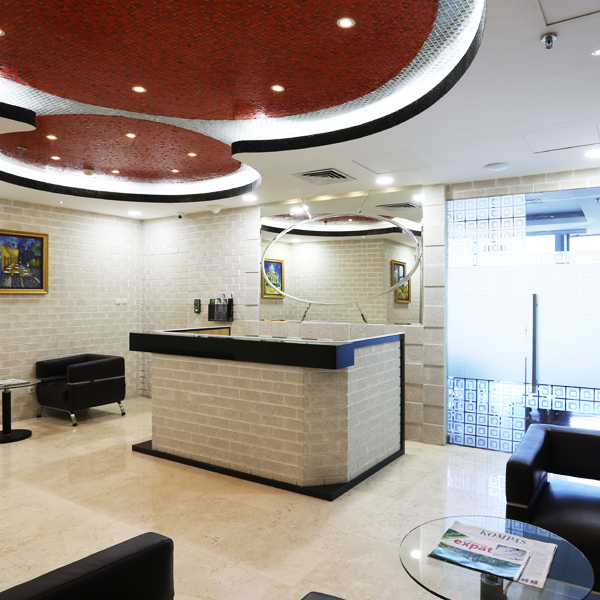 88Office Service Office Jakarta Selatan located in the central business area of South Jakarta, surrounded by famous shopping center in South Jakarta, such as: Kota Kasablanka, Lotte Avenue, Kuningan City and Mall Ambassador. So you don't need to worry about your business partners or customers will difficult to find your location. If you are interesting in using 88Office service office Jakarta Selatan, do not hesitate to contact us.